Meet award winning Minneapolis filmmaker Jimmy Wilson! He'll bring your kids on a series of nine adventures, including two at the Mpls. St. Paul International Airport! 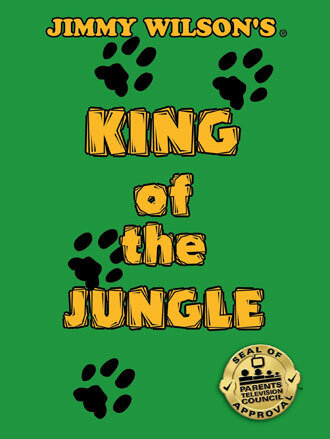 Come along with Jimmy and explore animals in their natural surroundings. A passionate filmmaker, Jimmy is committed to encouraging children to become interested in nature and for providing entertainment that the whole family can enjoy. Jimmy takes you exploring with nine DVDs and four hours of up-close, unrehearsed, uncontrived footage of animals in their natural surroundings! Have you ever thought about the Wolf, the Polar Bear, the Lion, or the Moose? Jimmy explores their world, with commentary from over 30 experts including some of the world's most renowned in their field! All Jimmy Wilson® DVDs are non-violent and family friendly. Jimmy Wilson Films® is proud to announce the Parents Television Council has awarded all of Jimmy's films with its coveted Gold Seal of Approval! Jimmy would like to thank the Parents Television Council and all the great customers who have inspired him to create good quality family entertainment. 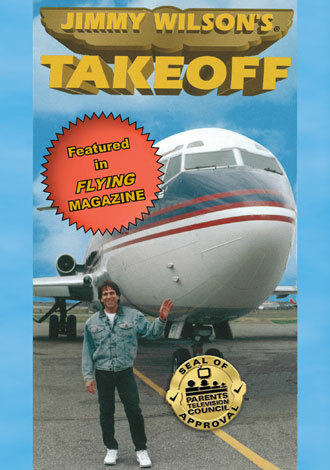 Order Jimmy's DVDs now at Amazon.com! Have you ever thought about flying? Come along with Jimmy Wilson® and visit the Mpls. St. Paul International Airport! Listen to Airline Pilots, Flight Instructors, Aircraft Engineers, Air Traffic Controllers, Airport Directors, Emergency Personnel, Deicing Specialists, Aviation Doctors, Flight Attendants, and Private Pilots, while they share with you the wonderful world of aviation! 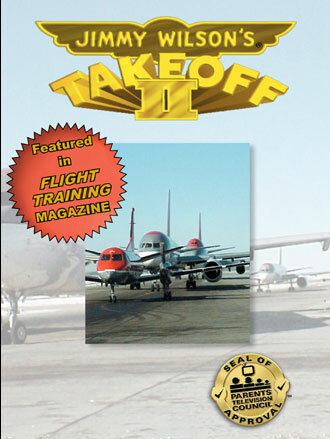 Jimmy takes you on a special in-depth behind the scenes look at one of America's busiest major airports. "They allowed our film crew to go just about everywhere we wanted, and we sure did!" Five years later Jimmy goes back to the airport to produce Takeoff II! Just think how much you've changed in the last five years! The airport has changed as well. So buckle up again, and get ready to explore! Have you ever thought about the wolf? 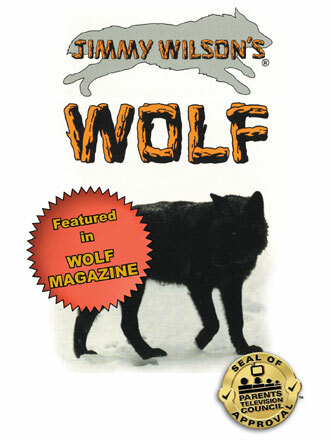 Come along with Jimmy Wilson® and explore the world of the wolf! You and Jimmy will tour the world renowned International Wolf Center, Minnesota Zoo, and Wolfwood Ranch Educational Center! Top international wolf expert Dave Mech, acclaimed photographer and author Jim Brandenburg, and International Wolf Center co-founder Nancy Gibson will all share their insights and personal experiences! This is a film that educates all of us about this vastly misunderstood animal. "It's time we bury the centuries old misconceptions and find out what this magnificent creature is all about." Have you ever thought about the bigfoot? Come along with Jimmy Wilson® as he unwraps the mystery surrounding the bigfoot phenomenon! 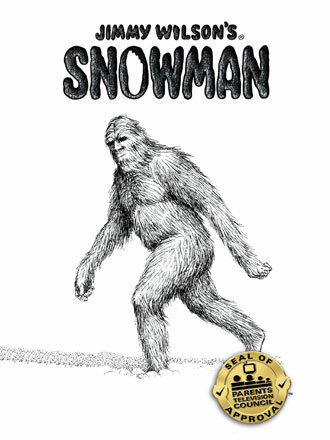 Whether sasquatch, bigfoot, or the abominable snowman, this is a subject that intrigues and mystifies everyone! World famous bigfoot researcher Dr. John Bindernagel goes in depth and unravels the whole story. What is it? Where is it? It's time we all found out! Have you ever thought about the lion? Come along with Jimmy Wilson® on safari to the Ngorongoro Conservation Area and the Serengeti National Park in Tanzania Africa! Learn nature's fascinating story about the African lion from the world's top lion expert Craig Packer! You'll also get to see elephant, giraffe, wildebeest, baboon, hippo, cheetah, zebra, buffalo, and many other birds and animals! You'll experience an exciting and informative look into one of nature's most thrilling carnivores, the mighty lion! Have you ever thought about the moose? 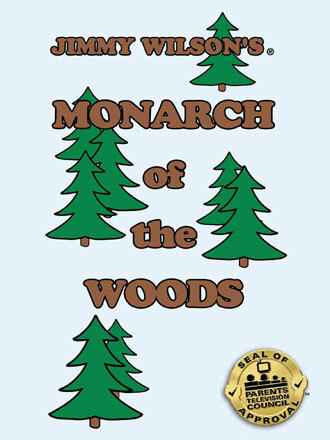 Come along with Jimmy Wilson® as he takes you deep inside the northwoods to meet the lord of the forest, the incredible moose! This beautiful film produced entirely in Superior National Forest near the Minnesota Canadian border, is narrated by Jimmy with expert commentary from the world's top moose expert Rolf Peterson! You'll see why we call this titan of the deer family, the "Monarch of the Woods!" Have you ever thought about the polar bear? 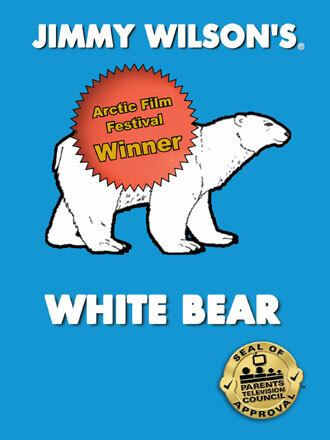 Come along with Jimmy Wilson® as he travels north to Churchill Manitoba, "The polar bear capital of the world!" Each year people from all over the globe will zero in on Churchill to see these lumbering white giants as they wait for the sea ice to take shape! Cape Churchill is nestled in Hudson Bay and is the southern most range of the bear. Twice the size of a lion, the polar bear is known and respected by everyone and everything! You'll learn all you need to know from Churchill resident and polar bear expert Dr. Paul Watts! He'll look at every facet of the polar bears life, and share with you over 25 years of experience studying these remarkable animals! Have you ever thought about building a nature trail? Come along with Jimmy Wilson® on his pathway through the forest for two different adventures! Jimmy has mounted a hidden camera on the trail and it films all day and night! He records moose, black bear, white tail deer, grey and red fox, fisher, pine marten, and bald eagle, who each stop by to say hello! There is nothing on the market like these 2 DVD's! You'll be glued to your seat to see who's stopping by next! Click here to check out the Jimmy Wilson Gallery website! Click here to become friends with Jimmy on Facebook! Support Our Troops! Think Green! PayPal uses a Verisign SSL Certificate to ensure that your private information and purchases are secure.